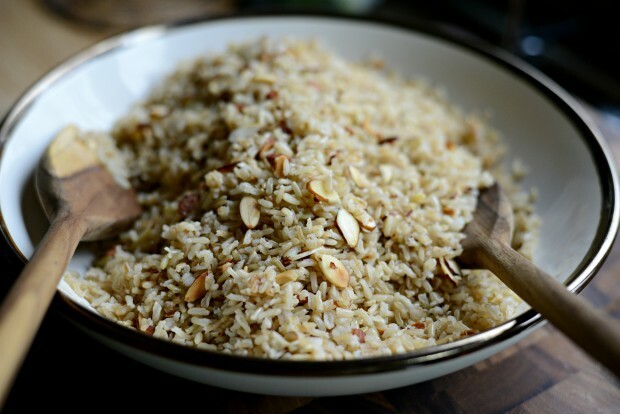 This almond basmati rice recipe is aromatic rice with the crunch and toasty flavor of the almonds. A light garlic flavor you get from the olive oil. 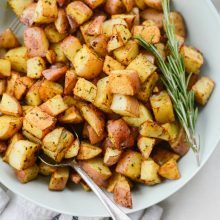 Meet my go-to side dish for just about everything. I recently updated the my Broiled Tilapia Parmesan recips since over the years I’ve played around and changed a few ingredients and decided it was time for that post to get a make over. Since the tilapia Parmesan was also dinner, I wanted to share this quick and easy side dish that I always make to go with it. 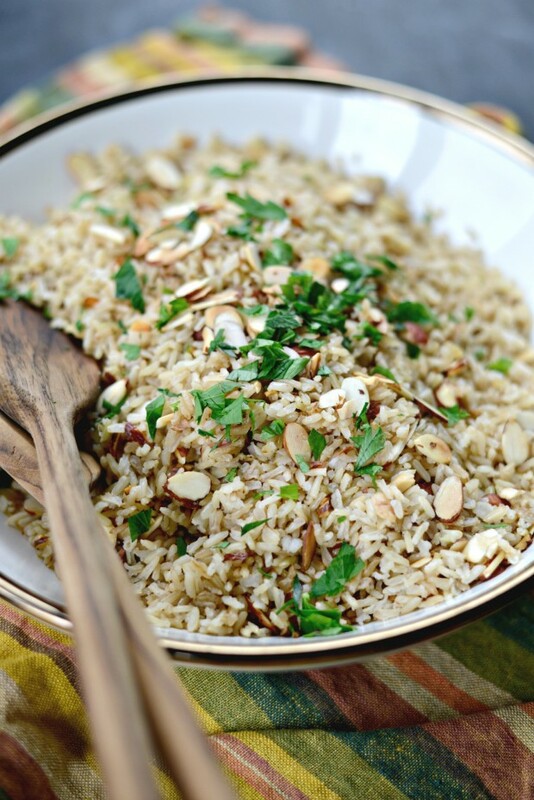 This rice recipe only calls for a few ingredients but it tastes amazing! 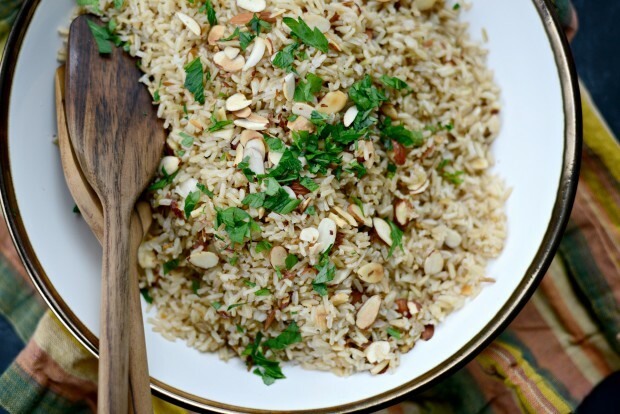 Both the rice and almonds are pan-toasted, plus the oh-so-flavorful garlic infused olive oil really bumps up the flavor factor. 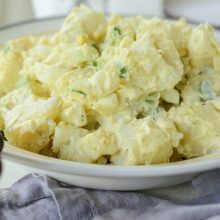 This recipe calls for just a few ingredients and a little time, but most of the “hard” work is done in the rice cooker (aka my bff) and takes about 35 minutes total. 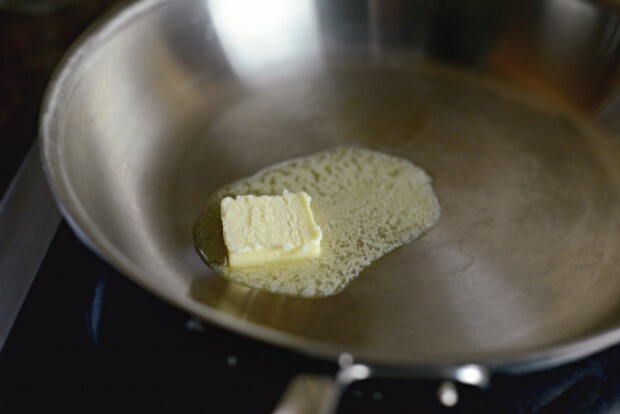 I start by melting a tablespoon of butter in a skillet over medium-low heat. 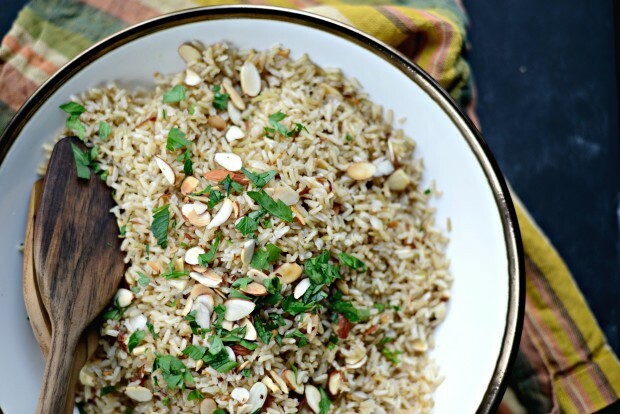 Once hot and bubbly, add in the basmati rice. 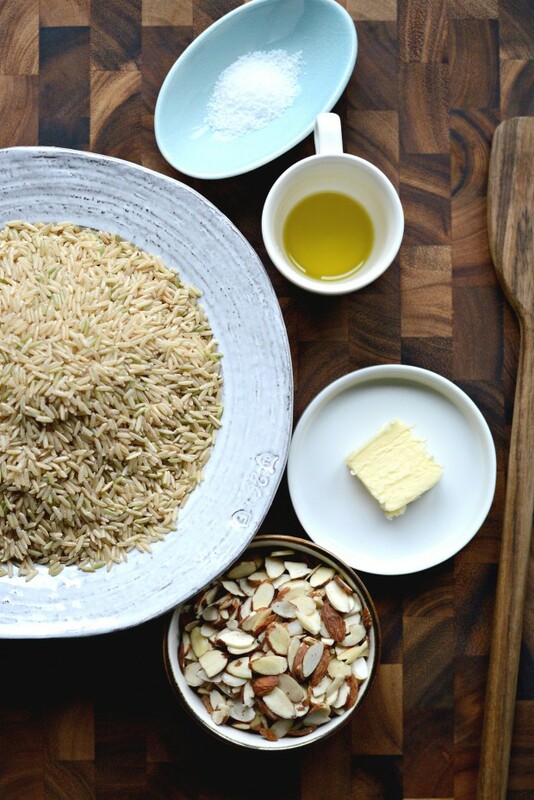 …and the rice is golden brown. 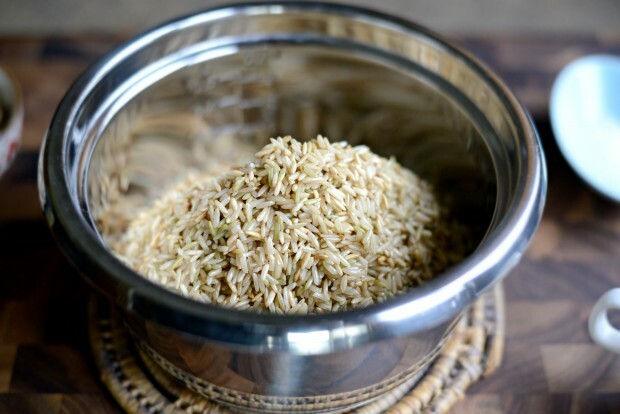 Then transfer it to the bowl of your rice cooker. Fill with water, according to the directions included with your cooker. Flip the switch and cook the rice. It’s really just that easy. 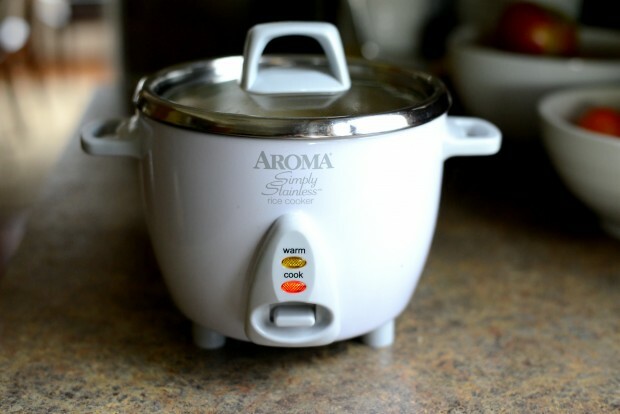 I’ve had this rice cooker for what feels like forever now and it’s still one of my most favorite kitchen appliances that I own. I received mine as a gift a while ago, but you can find them pretty much anywhere and inexpensively too! 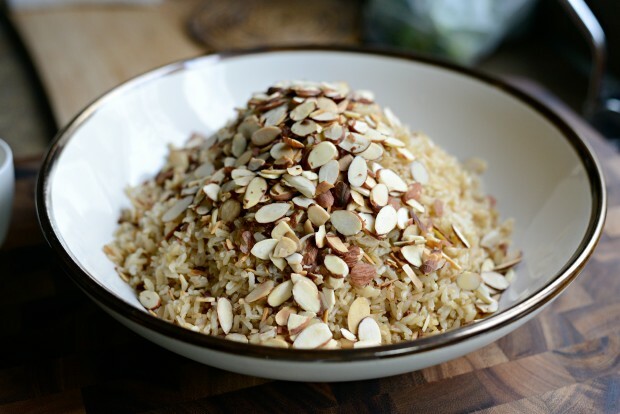 While the rice is cooking, add 2/3 cup of sliced almonds to the same skillet that you just toasted the rice in. 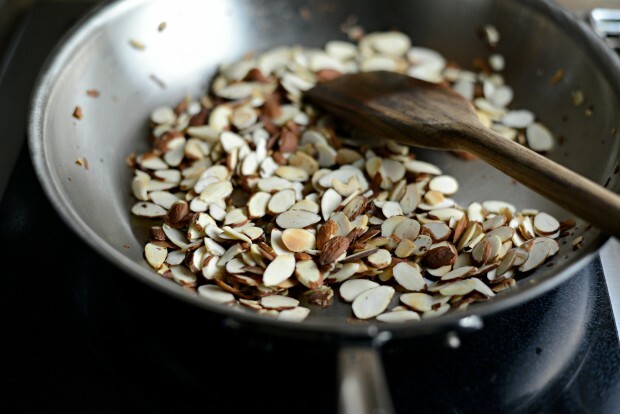 Over medium-low heat, toast the almonds until they start to smell nutty and are lightly golden brown. Remove off of the heat and set off to the side while waiting for the rice to finish. 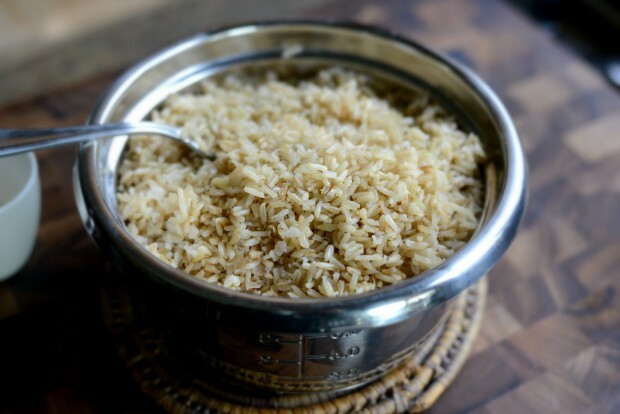 Once the rice has cooked, fluff with a fork and transfer to a serving bowl. Give it a good toss to ensure the olive oil is throughout. 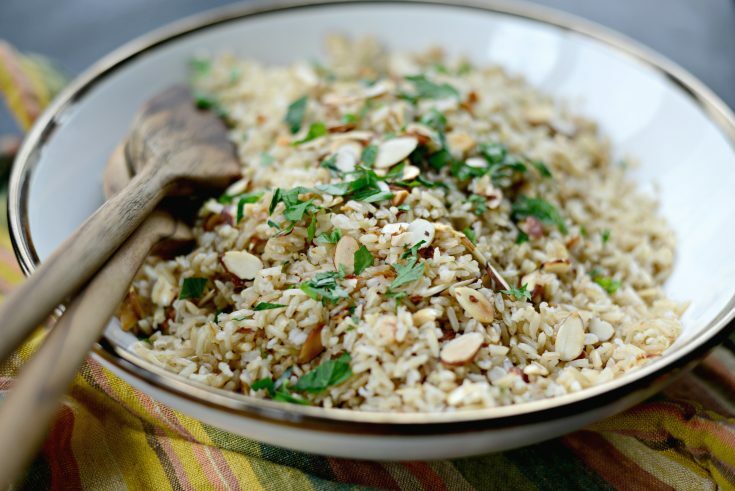 Then sprinkle with some chopped fresh parsley for some pop of green and serve. 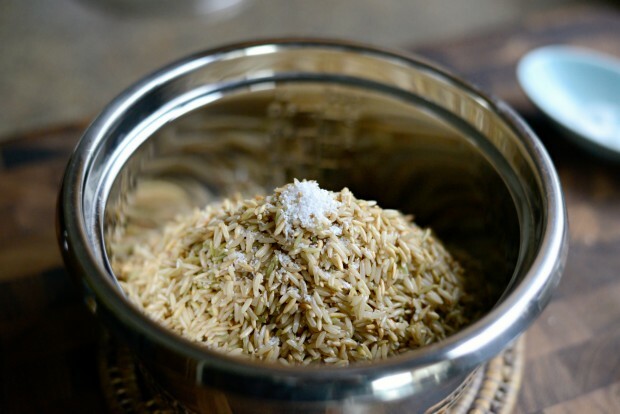 My family loves this basmati rice recipe. Well, okay so minus Malloree. She isn’t a rice fan… but she digs the almonds! 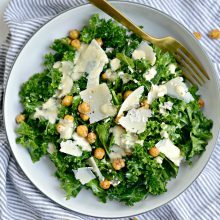 They love it because of the crunch factor from the toasted almonds and the light garlic flavor you get from the olive oil is perfection. 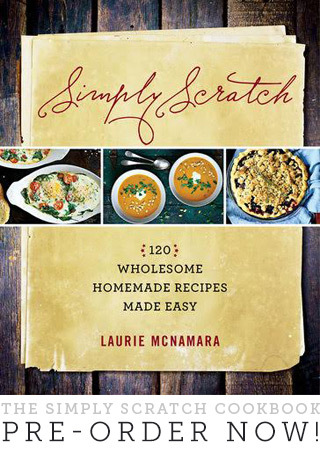 I love it because it’s so easy and goes with just about anything… even by itself it’s so darn delicious. 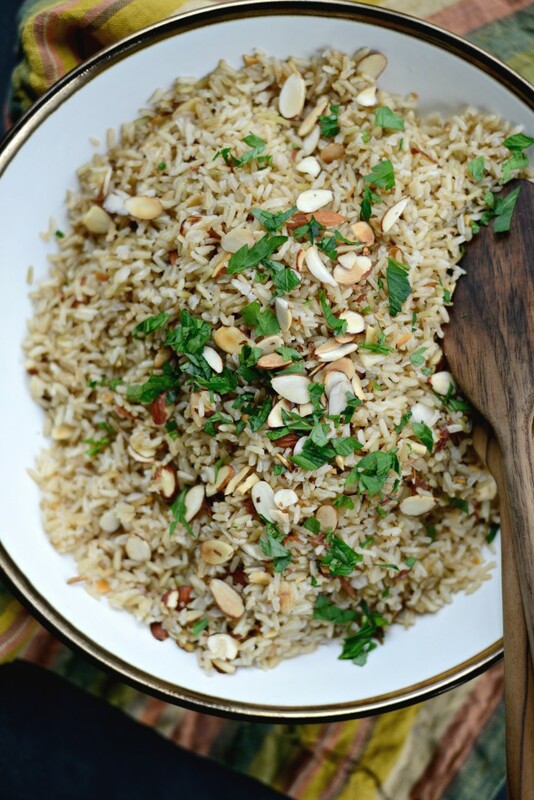 The aromatic rice with the crunch and toasty flavor of the almonds and the light garlic flavor you get from the olive oil is what makes this rice dish my go-to! Melt the butter in a 10-inch skillet over medium heat. 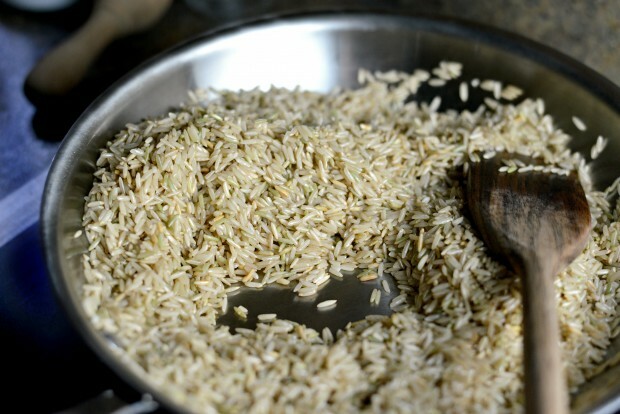 Once melted, add in the rice. 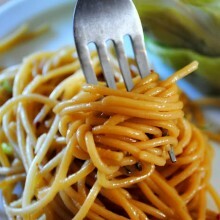 Stir occasionally until fragrant and lightly golden brown. 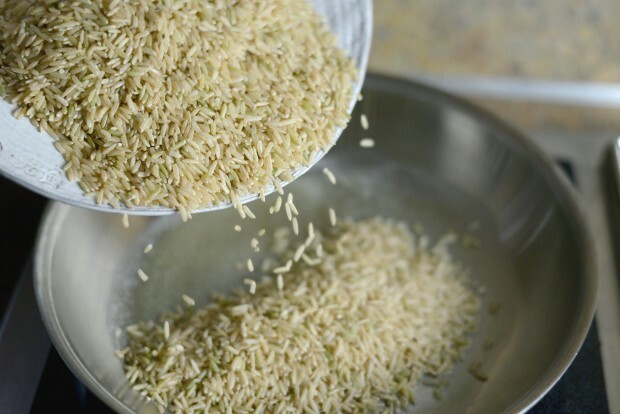 Transfer toasted rice to your rice cooker. Season with a few pinches of kosher salt and add water and cook according to the instructions that came with your rice cooker. 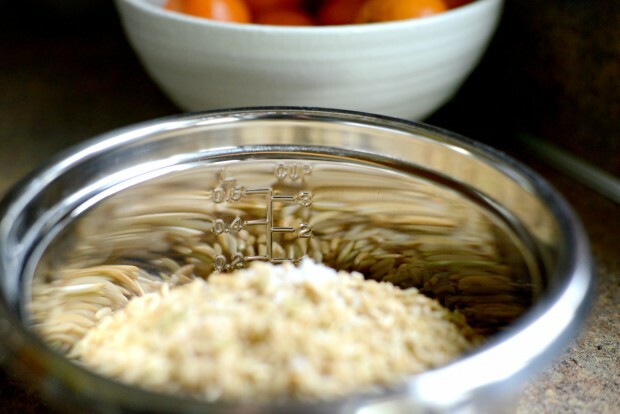 Note that my rice cooker comes with a specific measuring cup for grains and water specifications so if you're not using a rice cooker, it's about 1-3/4 cup of water per 1 cup of basmati rice (or about 2-1/2 cups water total for this recipe). 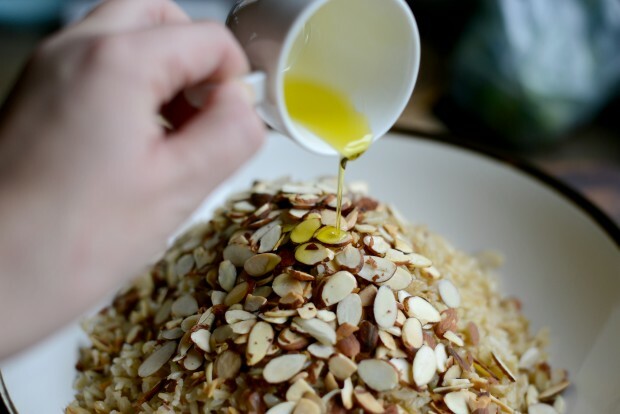 While the rice is cooking, toast the almond slices in the same skillet until fragrant and golden. 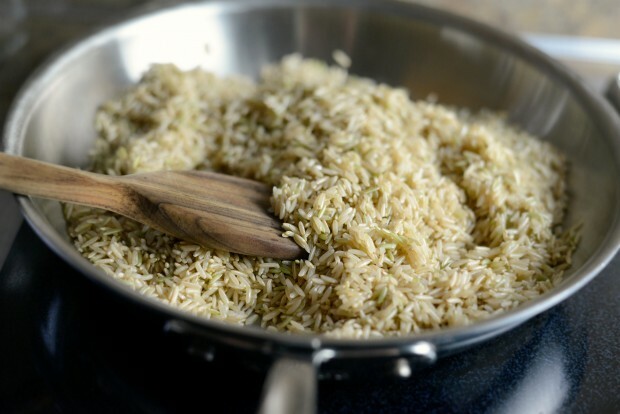 Remove off of the heat and set aside.Once the rice is cooked, fluff with a fork and transfer to a serving bowl. 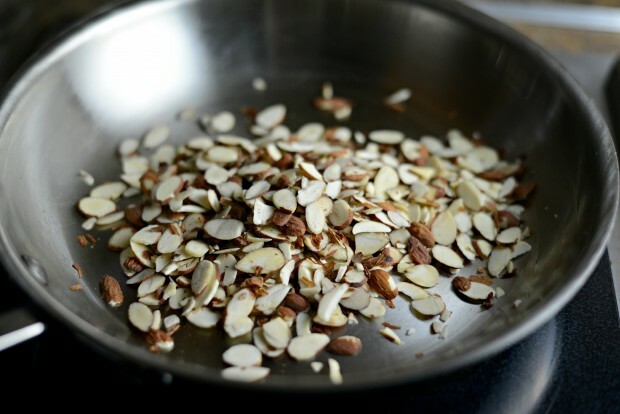 Add the almonds and garlic olive oil and season with more salt if needed. 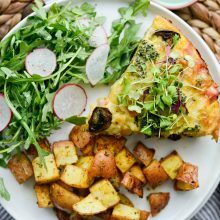 Toss and garnish with finely chopped parsley. Just to be sure, that’s brown basmati, correct? 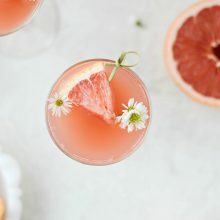 This looks DEEELICIOUS! Yes! But either basmati would work! Thank you! Wow what a fabulous rice dish. So easy too. Can not wait to try this. Sammie. Thank you Sammie! I hope you enjoy it!